Home » tea tree oil » Tea Tree Oil Soap Naturally Treats Acne, Breakouts - Recipes Included! Tea Tree Oil Soap Naturally Treats Acne, Breakouts - Recipes Included! I'm past my teen years, but I still have the occasional pimple. Since I'm trying to use more organic and natural products and avoid chemicals, I wanted a natural way to keep my face clean and prevent breakouts. Handmade tea tree oil soap is a natural, gentle way to keep my complexion clear, and my skin was softer and healthier after using it. My favorite natural product to treat acne is tea tree oil. It's naturally antibacterial, so it can kill the bacteria that causes acne. 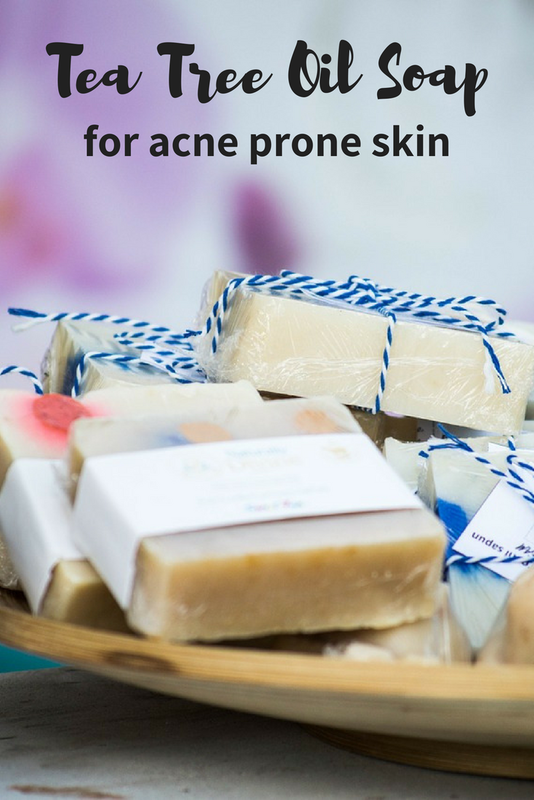 You can use it several ways to treat acne, but my favorite way to use it is in a tea tree oil soap recipe. Before we learn about the benefits of tea tree oil, let's talk about acne. Pimples or zits are smaller red bumps that might be tender. Comedones are clogged pores and can be whiteheads or blackheads. Cysts are deep pimples and might even be considered a boil. Acne is caused by one or more of several factors. Our skin has oil glands at the hair follicles. These glands secrete sebum, or oil, that protects the skin and keeps it lubricated. When oil increases due to hormones or whatever reason, it can block the pore. If a layer of skin covers this plug, it will be a whitehead. If it gets exposed to air, it will be darker in color due to oxidation and form a blackhead. The hair follicle expands, which creates a bump. The wall of the pore can burst under pressure, allowing bacteria that normally lives on your skin to enter deeper into your skin. This can cause inflammation. If this happens near the surface of the skin, it's a pustule. It can also form a pimple if it's deeper in the skin or a cyst if it's really deep in the skin. It's important to keep your oil production balanced and use a product that can kill bad bacteria to get clearer skin. Derived from the plant called Melaleuca alternifolia, the oil has been used topically for 100s of years to heal skin conditions. Tea tree oil is a natural antiseptic, and it is said to kill bacteria and fungus. The essential oil can reduce the appearance of both inflamed and noninflamed acne, so it is also great for whiteheads and blackheads. Tea tree oil is also naturally anti-inflammatory, so it can help control inflammation from breakouts and reduce swelling. It acts as a solvent on your skin. It can dissolve oil and debris on your skin, which prevents that debris from clogging your pores in the first place. Tea tree oil soap is also great for athlete's foot because it can kill the fungus that causes the condition. When you buy tea tree oil, make sure that it's a reputable brand. I've used a few different kinds, and some don't work as well. I prefer not to call out the brands I didn't like, but I will tell you that my favorite is Crafty Bubbles tea tree oil. It's high quality and works great for me. Making your own tea tree oil soap is easy. You can make cold process soap, hot process soap, or even melt and pour soap. 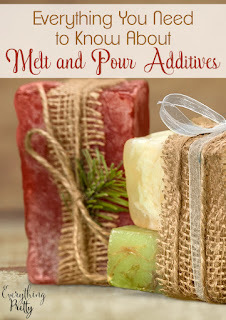 Here's a basic recipe for melt and pour tea tree oil soap. Cut the melt and pour soap into 1 inch cubes. Place in a microwave container (I use a Pyrex measuring cup ) and heat in the microwave at 30 second intervals until melted. Stir after each interval. Remove from the microwave and place on a hot pad. Let cool until no longer steaming. Add the vitamin E oil and tea tree oil. Stir well. Pour into a soap mold. Let sit until completely cooled. This is just a base recipe. You can use different carrier oils or even add more ingredients like charcoal or even clay. The general rule is to use 1 tablespoon of an additive per pound of melt and pour soap. 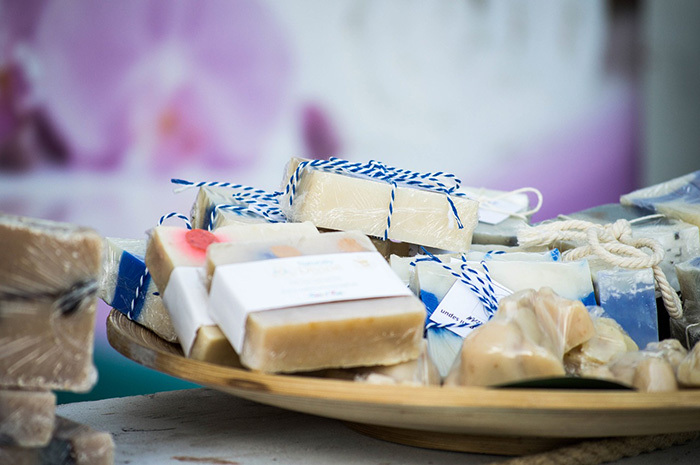 Eucalyptus and Tea Tree Soap Recipe from Soap Deli. This is an excellent recipe for men or teenage boys because of the scent, but it would definitely work for women too. Tea Tree Oil and Orange Soap Recipe from Nature's Home Spa. 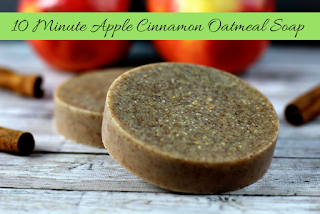 This soap is made in a Crock Pot and uses orange essential oil and clay. Activated Charcoal Tea Tree Oil Soap also from Soap Deli. I really like the combination of charcoal and tea tree oil for my oily skin. Tea Tree Oil Soap Recipe from Soap Making Resources. They give you step by step directions and a video. You can also purchase a kit for this recipe. 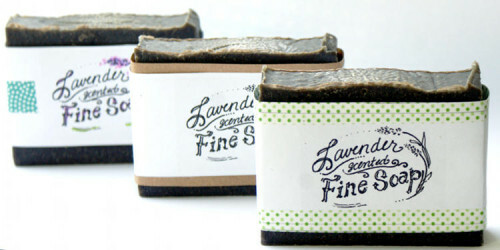 Activate Charcoal Tea Tree Oil Soap from Modernsoapmaking. I love the look she achieved with this classic recipe. Not ready to DIY? You can find tea tree oil soap in stores.